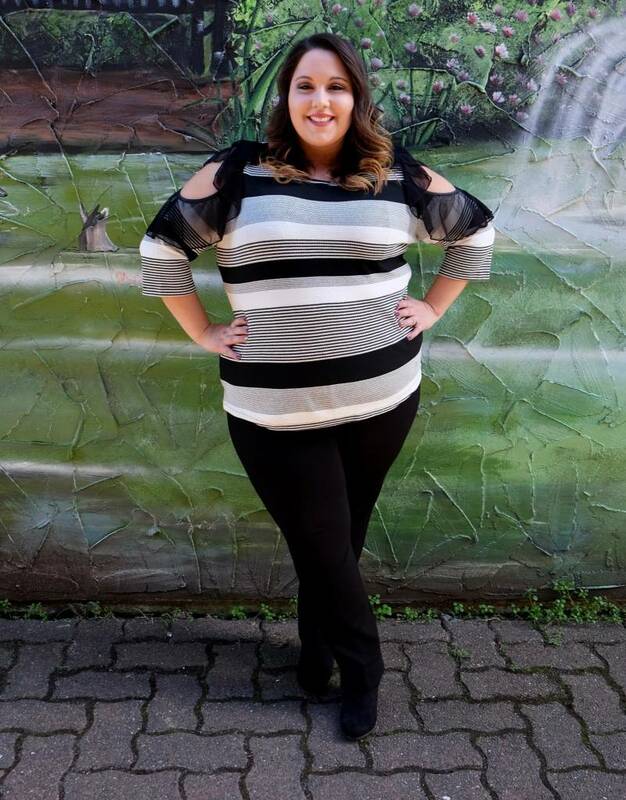 Black and white pattern sleeved top with cold shoulder design that is surrounded with a flutter of mesh. Nylon / Polyester / Spandex / Hand wash / Hag to dry. Made in Canada.